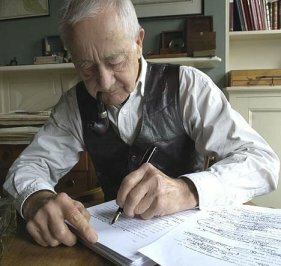 Alan SILLITOE (1928–2010) was an English novelist, children's book writer, playwright and social critic, compared to D.H.Lawrence, who also came from Nottingham. He introduced in the post-World War II British fiction realistically portrayed working-class heroes. Best known for his novels, Sillitoe also published poetry, plays, and an autobiography, LIFE WITHOUT ARMOUR (1995). A thousand echoes falling from her ship. From which bodies have been moved. No strength to break my own.